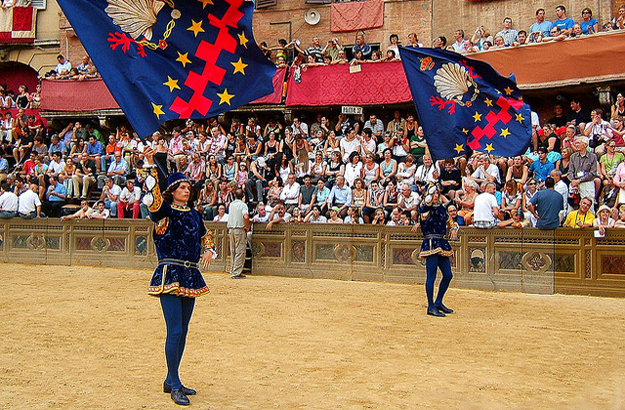 You may remember that I told you, in a previous article, about the spectacular Palio Horse Race, held in Siena twice a year – on July 2 and August 16 – and disputed by 17 participating teams, each representing a Sienese contrada (an Italian word meaning “neighbourhood”). 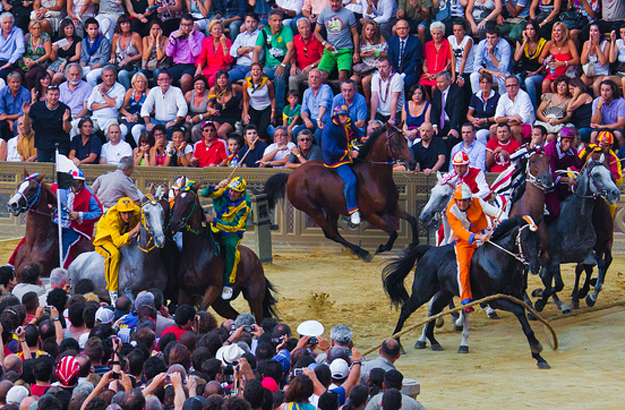 The three-lap Palio race around the magnificent Piazza del Campo barely lasts more than 60 seconds. 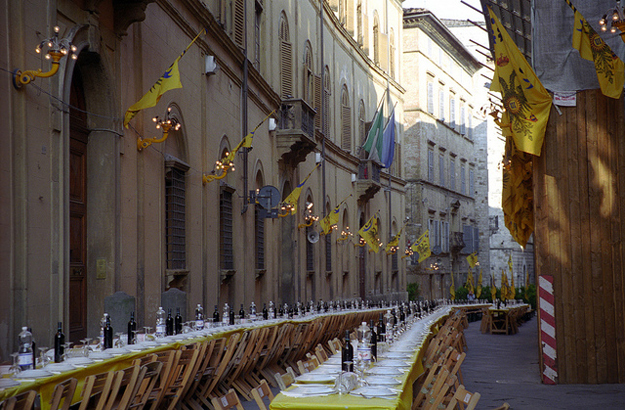 But for the residents of Siena, the preparations for this big event are part of their daily life, all year round. 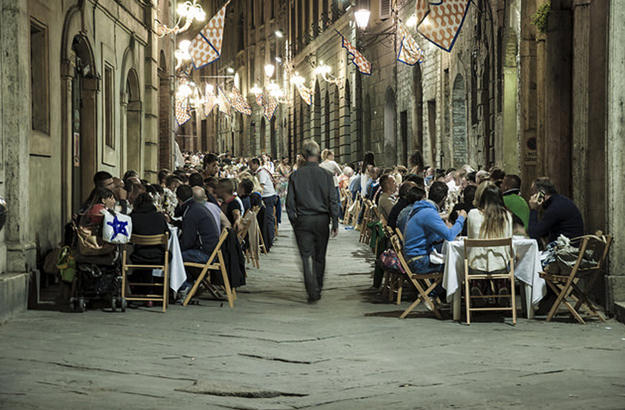 That, and much more, is what I learned during the Palio expert tour which I took just a few weeks ago, and which we, at Trust&Travel, have especially tailored for our clientele. 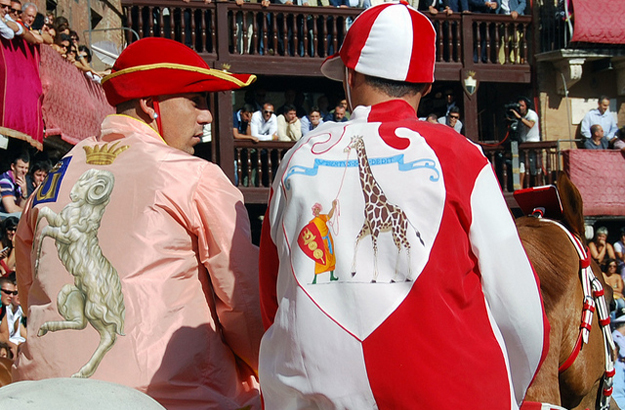 So if you can’t be in Siena on either day of the Palio, you and your children, if you have any, will undoubtedly have a great time hearing and learning about this colourful horse race during this guided visit – hosted by our friendly and knowledgeable Elena, a thoroughbred Sienese. 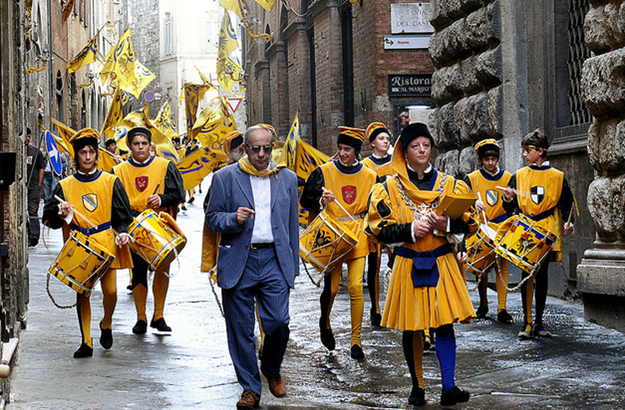 The tour will take you from Piazza del Campo through some of Siena’s most beautiful contrade. That day, when I took the tour, I was with my family, and two good friends of ours, a couple, who were in Siena with their little son George. 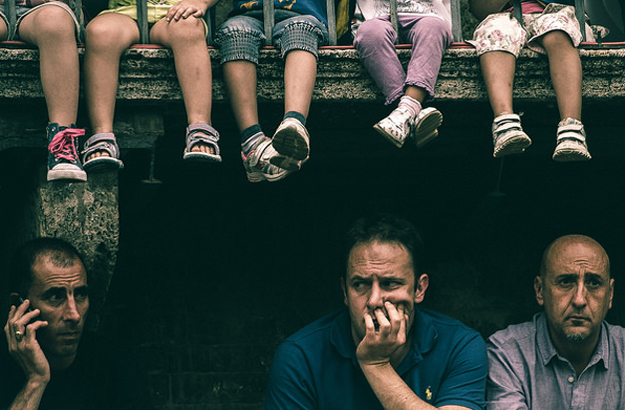 To our kids’ delight, the tour started more or less as a “treasure hunt”. Elena told them to look out for animal symbols perched on fountains and window sills, or painted on street number plates. George jumped for joy when he realized that the symbol of this neighbourhood was a tower carried by… an elephant! And besides, the lovely playground in this part of Siena boasts a wooden elephant designed for kids to climb on, which is exactly what George did when he saw it. 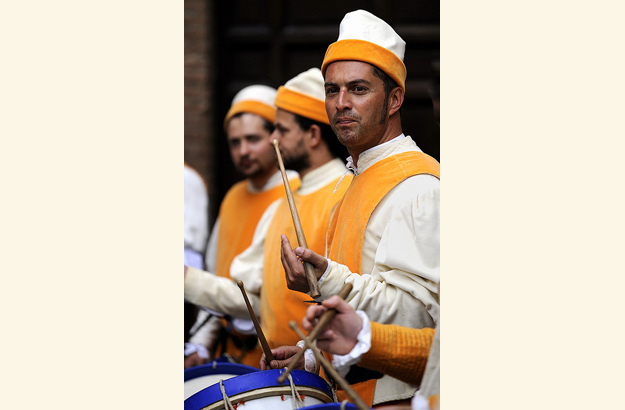 For further details on our Palio Guided Tour, and to make reservations, please contact our most agreeable Katja.